Sparked by an article by Bob Thompson, titled You had me at “Treat Customers as People” about Kustomer, a new kid on the customer service block, I ventured to reach out to founder Brad Birnbaum and his team to get some more information. After all the customer quadrant of software is quite crowded, and a new company needs to offer good ideas to keep up and go beyond the incumbents, most of them being young companies as well. One of the basic questions that I had was: Do we need another customer service solution? 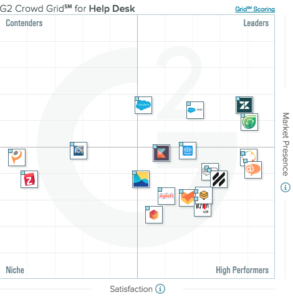 After all, G2Crowd already lists 19 in their Help Desk grid; and these are only the ones that made it into the grid. Overall G2Crowd counts 78 solutions, excluding Kustomer. And quite some of them are quite strong. Brad and his team certainly seem to be of the opinion that there is an unmet need; as are their investors who brought in $ 12.5 million into seed- and series A funding in less than a year. The founders bring experience that dates back to 1996 and includes the success of Assistly, now desk.com, which is part of Salesforce. Another question is: How does Kustomer want to differentiate itself or, which issue do they solve that the other companies do not yet solve. Quite simply put, Kustomer claims that there are too many unconnected point solutions that customers – and hence employees – need to deal with. 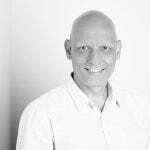 This issue gets addressed by the Kustomer platform that acts as an integration hub and connects customer service representatives to a multitude of communications channels; teams are enabled to ‘spend their days building meaningful relationships with customers and quickly and effectively solving their problems’. To accomplish this the team has built their user interface around the concept of the customer. Incoming support requests, regardless of the channel, are displayed by customer and not, as in other applications, by incident. When opening a customer all her incidents and conversations around these incidents are displayed in one timeline. The user interface allows for reply to the different channels. To emphasize on the focus on the customer Kustomer offers a simple sentiment tool that shows sentiment by customer and by conversation. Additionally, they offer a workflow engine that allows the automation of certain processes via configuration, as opposed to coding. Core objects can get enhanced and additional objects can get created – although I couldn’t test this feature, maybe due to the privacy tools that I installed on Chrome. I have mixed feelings here. The market is contested and Kustomer is not an early entrant. On the other side, they managed to secure around 20 customers in a year. But then my opinions base on a short briefing and a brief trial of the system. I am interested in learning more. Kustomer has bold messaging, but then they have a leadership team with plenty of experience and credibility. This is also evidenced by the team being able to collect 12.5 million dollars in investment in less than one year. While arranging the inbox around the customer is different from the incident based inbox of other systems the judge is still out whether this is a competitive advantage or not. The distinguishing factor that I currently see is the timeline in combination with the vision of including information from other systems, like order tracking system, delivery status, etc. Especially, if the Kustomer team manages to implement a way that consistently keeps track of conversations even if customers change the communications channel and/or do not use the reply button but just shoot off another message to an existing conversation. This, however, would require some sophisticated text mining and also does not necessarily make up for a lasting advantage. The platform thought offering custom-, as well as customizable objects, workflows and events that integrate with the inbox gives a good view into customer interactions and behaviour once the needed objects are in place. This can be seen by the Shopify integration. It might also be an important resource for future enhancements of the functionality beyond customer service. I do say this because in my eyes customer service starts well ahead of making the sales transaction and needs to strongly consider helping towards a buying decision. The platform approach, is nothing that we haven’t seen before; however, most vendors aspiring a platform are looking at bigger clients than Kustomer does. And Kustomer surely has the advantage of being able to build upon state-of-the-art technologies and architectures where other players already have an architecture and technology in place, which might decrease their pace of innovation. At this time, the team fully focuses on customer service functionality, which is a good move as the market is very competitive, and as the unification of communication channels into one application/user interface is not complete enough, currently only supporting mail, a chat interface and text/SMS. In-app mobile support, knowledge base support. While there is a statement that customers can easily customize their setup to connect to social media, messaging services, etc., this is functionality that should come out-of-the box. But then, again, Kustomer is a young platform and solution – a lot can happen in the next months. It will be interesting to see the market evolve.